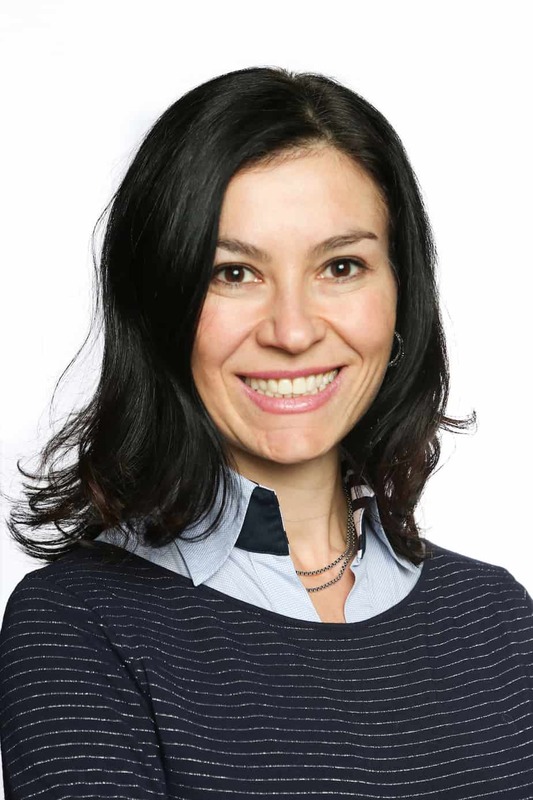 Continuing our Women in Tech series , we had an opportunity to interview Emilia D’Anzica, VP of Customer Success at Qordoba, after learning about her career trajectory on LinkedIn. Emilia is the VP of Customer Success at Qordoba, a localization platform. She is a certified Scrum master, PMP certified project manager, blogger and a frequent speaker at conferences. In the span of her career, Emilia has received numerous awards for being a top client service manager and leader, including the 2018 MindTouch Top 25 Customer Success Influencers. Emilia holds a Bachelor of Arts degree from the University of British Columbia and a Trans-global Executive MBA from St. Mary’s College of California. Emilia speaks fluent Italian and has lived and worked in Italy, Denmark, France, Canada, and the US. I am an Italian immigrant and the first person in my family (of six children) to graduate from University. Attending the University of British Columbia (UBC) was one of the most life-changing four years of my life where I learned to form opinions, write about topics I am passionate about, and to make a social impact on causes I care about. Canada adopted my family and I am forever grateful. As a result, I chose to pursue a degree in Canadian Studies (studying everything from intensive French to International Relations) and a minor in Social History. I also worked at restaurants to pay my bills. I chose to make my time at University a time to explore my interests – people and their stories and that is a BA should be about – laying the foundation for your future self. I recently went back to University to pursue a Trans-Global Executive Masters of Business Administration (TGEMBA) at St. Mary’s College of California. It was another transformative experience where I studied global competition and strategy in New Zealand and Organizational Development and Behavior in Thailand and India. I always laugh when people say Education is a waste of time. It is right every human should have access to and I am privileged to be in a position where I am constantly learning. Why did you Seek Out a Career in Customer Success? I’m not sure I did. I had my heart set on going to law school and then I discovered the Tech world and I knew I wanted to be in San Francisco. I started ‘customer success manager’ training as soon as I could properly clean a table, count change and serve customers. My parents owned a pizzeria in Kelowna, B.C., where I grew up and I formed, early on, an understanding for satisfying a human need in the services industry. Customer success is an extension of that – delivering agreed-upon outcomes to deliver value for the customer while achieving company-wide goals. Research: This means fully understanding the job description, if you are given one. I have been in a position where I wrote my own job description and in interviews where the company didn’t want to write one but rather interview people that thought could bring value to the table. Regardless of what situation you are in, google the company and the people interviewing you. Understand the culture and business attire before you walk-in so that you don’t show up wearing a suit in a jeans and pajama culture so ’normal’ nowadays at start-ups in Silicon Valley. I also do back channel checks by talking to the VCs and current and past employees of the company. Lastly, look at Glassdoor. If the company doesn’t have reviews, ask why. If the company includes negative reviews, ask how the leaders are working to address the concerns raised. It is better to ask upfront than be stuck in a position you regret later. While no company is perfect and the reason they are hiring you is to help grow and combat the challenges being faced, there are some fundamental values and vision you want to make sure you can align with before you access a job. Exercise: to clear your mind before the interview. Being physically active will help you calm your jitters and gain confidence. Walk in to that interview with confidence: Being a customer success manager requires the ability to lead customers and teams. Show your leadership abilities with calm confidence. If you haven’t seen these Ted Talks about confidence, I highly recommend it as part of your preparation routine. How many interviews do you typically have before accepting a customer success manager job? Apply to as many jobs as you can and interview with as many companies as you can. This will give you practice and higher chances of receiving an offer and find a company you can grow with. There is no right number of interviews. So many! I am constantly reading books and blogs and listening to Podcasts about customer success and career trends. In my recent blog (mentioned below), I mentioned several resources I encourage others to explore if they are interested in customer success. I also mix in Fiction and biographies to keep me balanced. Books that have had a significant impact on my life include ‘The Diving Bell and the Butterfly’ by Jean Dominque Bauby, Siddhartha and Steppenwolf by Hermann Hesse. All sobering reminders that life is so fragile and can change in a split moment. Make each one count. Follow your passions and don’t let anyone tell you that are ideas are dumb. Start with an overview of your experience and ambitions. Truthful statements. Back-channel and extensive background checks are becoming standard practices. Don’t be caught in a lie. It will come back to haunt you. To the point statements. No one is going to read a resume that is more than two pages. so it is important that you tailor each resume with relevant experience required for the role. Be pro-active. Customer Success Manager Jobs don’t typically land on people’s laps and you want to focus your job search on roles that will give you fulfillment. Don’t give up. You may get 100 rejections before you land your dream job. Surround with people who will lift your spirits when you are feeling defeated. Network! Attend events for job seekers, join online user groups related to the industry you are targeting, and develop professional relationships in the industry. You can also hire a professional coach to guide you through the process and prepare you for interviews. I have been in situations where I made it to the final round and the decision maker (DM) called out a requirement that was essential to them but that I didn’t have. It was disappointing at the time and while I wish I had known about this requirement sooner, it was still good interviewing experience that helped me get the next role I landed. Take each opportunity that doesn’t fit as a practice round and learn from it. I interviewed with a top Fortune 50 and immediately knew the DM and I would never get along. This is normal. Not everyone will like you and vice versa. The number one reason people quit their jobs is their boss. If you don’t think you can work for someone or there is something you can’t quite pinpoint about the person you will report to, don’t take the job! I knew the DM felt the same after we met because a rejection email arrived the next day. Trust your intuition. You don’t want to work for someone who constantly cuts you off during an interview! I wanted this job so badly and did everything I could to prepare. I could see a long-lasting relationship with the company and my potential manager. Unfortunately for me, there was someone with a little more experience, a little more of what the company was looking for. There is nothing I could have changed, and they called me to tell me the truth. I can appreciate they candidness and it only motivated me to work harder. I know that I just need to keep doing what I am doing, practicing, improving, failing and doing it all over again – I know that my passion, dedication and determination while gaining more experience will help me land my next dream job. You can learn more about growing your career in customer success by going to Emilia’s blog on this topic.